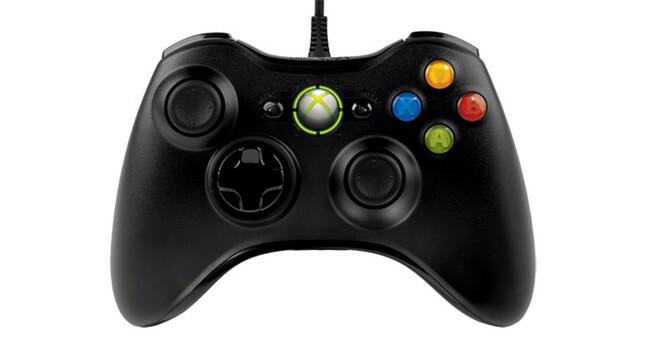 As Xbox 360 Controller passionate lovers, you can enjoy the great convenience it brings you. However, at the same time, you must be familiar with the scene that when you were playing the computer games, the Xbox 360 Controller suddenly stops working or works with a blinking / freezing buttons or cannot connect to the console. It is conceivable that you are very upset about its failing to work or sometimes, it is detected by Windows 10 but not configured when you are combating in a game. But how to fix the Xbox 360 wired or wireless Controller not working on Windows 10 is far beyond your capacity. Just as you can imagine, the not working or not connected Xbox 360 Controller can be caused by the Xbox 360 Controller peripheral going wrong and the Xbox 360 Controller driver issues. Now it is the time for curing this Xbox 360 not working disease. You should at first make sure the batteries of the Xbox 360 Controller is working properly on Windows 10. To complete this step, you can choose to insert a new AA battery pack into the Xbox 360 Controller. Or if you are using the Xbox wireless 360 Controller, you are advised to replace the former one with a new wireless Xbox 360 Controller battery pack. But also if you are rechargeable battery consumer, you can just recharge the battery pack to see if the Xbox 360 Controller is working correctly. If the battery is in good condition, now you can try to plug your Xbox 360 Controller to another USB 2.0 or 3.0 port to check if it is the broken USB port that resulted in this Xbox 360 Controller not having a steady connection with Windows 10. You can try to plug your Xbox 360 Controller into many different USB ports to test it, in this case, you may also be able to fix the Xbox 360 Controller blinking or flashing issues by reconnecting the Xbox 360 Controller to a different USB receiver. And here you can fix USB port not working issue on Windows 10. If the Xbox 360 Controller not connected or not working error persists on your PC, it turns out the fact that the Xbox 360 Controller drivers are experiencing some problems, therefore, you would better update the Xbox 360 Controller wireless or wired drivers to the latest version to avoid the driver corruption, missing or interference. 2: Expand the Xbox 360 Peripherals and find out Xbox 360 Wireless Receiver for Windows 10. Here if you cannot find the right driver for Xbox 360 Controller, maybe you can find it in Other Devices or Network adapters. 3: Right click Xbox 360 Wireless Receiver for Windows and choose to Uninstall it. 4: Click Scan for hardware changes or just restart your PC, then Windows 10 will automatically install a new Xbox 360 Controller driver. Or if you want to update the Xbox 360 Controller driver for an advanced or customized one, you can turn to Driver Booster, which is a professional and secure driver downloading and updating tool, you can rely on it. Driver Booster, an automatically drivers download and update tool, can help users to get the latest graphic driver, audio driver, USB driver, mouse driver etc with one click. 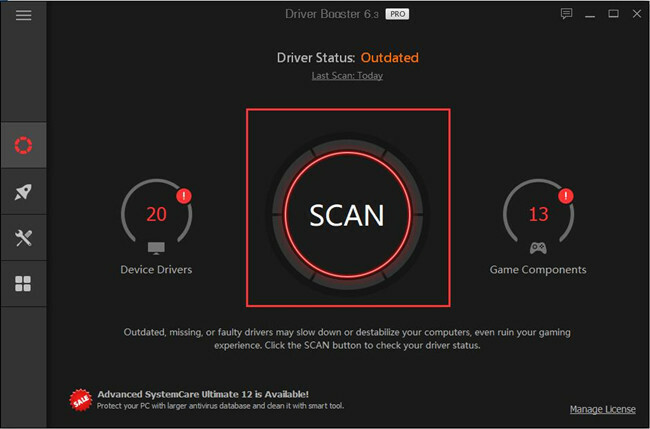 And as the best driver scanner, it can detected the most outdated and missing drivers for your computer. Besides the driver function, it supports to download and update the game components such as Microsoft Visual C++ Redistributable, Microsoft XNA Framework Redistributable, OpenAL, etc. You need to download Driver Booster at first. Then Driver Booster will help you get the latest Xbox 360 Controller drivers as you like, you can do nothing else but click two clicks. 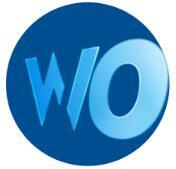 In this way, what you can pick up is the high-quality driver as well as the legitimate Xbox 360 Controller driver. However, it is feasible that you go to the Xbox 360 Controller official site to download and update the latest drivers for Windows 10, but it may be a little troublesome for you if you are not a computer veteran. It is possible that your power management causes the Xbox 360 controller fail to work or connect to Windows 10, thus unchecking it may be a reliable way. 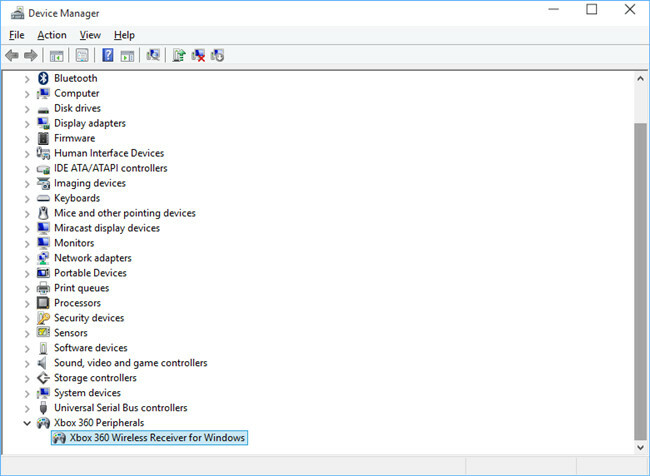 1: Under Xbox Peripherals, right click Xbox 360 Wireless Receiver for Windows 10 to open the Properties. 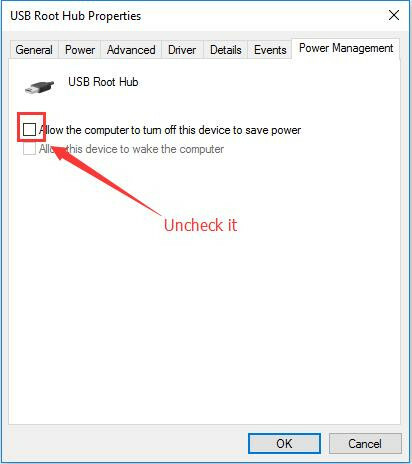 2: Navigate to Power Management tab, and uncheck Allow the computer to turn off this device to save power. Then click OK. If you have a blinking or flashing or just not working Xbox 360 Controller, you can use the Windows 10 embedded-in tool to keep the Xbox 360 Controller driver up to date, thus solving its failing to work issue. Go as the path: Settings > Update and Security > Windows Update > Check for updates. And this is the tutorial: how to use Windows Update in Windows 10. Then Windows 10 will automatically check for your gaming software drivers, if possible, it will install all the up-to-date drivers for you, including various Xbox 360 Controller drivers. From all the solutions presented, you can adopt one effective, the Xbox 360 Controller, either wired or wireless, you can find it working properly on your PC, and you can enjoy playing games with Xbox 360 Controller gamepads again.